The US Supreme Court yesterday denied two academic researchers’ legal challenges to enforcement in US courts of Northern Ireland police demands for information now in the files of an American college about the IRA Troubles. Background to this legal challenge can be found in my UKSC Blog post of last week, “Case on IRA Troubles escalates in US Supreme Court“. The Court’s action will turn the issue back to a lower federal court and to pleas in Washington for some diplomatic intervention. The Justices made no comment when they refused to grant review of the constitutionality of subpoenas that a US judge issued for recordings made at Boston College during the since-concluded “Belfast Project” on the Troubles. Such refusals are seldom explained. The order, however, only dealt with subpoenas for the files made in interviews with two now-deceased IRA members, Brendan Hughes and Dolours Price. The Hughes interviews had previously been turned over, and the Price interviews are scheduled to be produced. A second round of subpoenas is still under review in the US First Circuit Court of Appeals in Boston, in an appeal by Boston College. The briefing has been completed in that case, and a decision is awaited. In its action on Monday refusing to hear the challenges of Project researchers Ed Moloney and Anthony McIntyre, the Supreme Court refused to postpone its action to await the First Circuit Court’s coming decision. In its new appeal, Boston College raises the same constitutional challenges to subpoenas that it had raised unsuccessfully in the earlier round of litigation. A federal judge in Boston, in reviewing the second group of subpoenas from the Northern Ireland police, ruled in January 2012 that Boston College must turn over the complete files of interviews made with five individuals, and individual interviews with two others. Those individuals’ identities have not been publicly revealed, but the judge concluded that their remarks could have some bearing on the Northern Ireland investigation. That investigation focuses on the kidnapping and murder in 1972 of Jean McConville, a former member of the IRA who allegedly had served as a British informer. She died in an execution-style killing for which the IRA has admitted responsibility. Meanwhile, lawyers for Moloney and McIntyre, while conceding on Monday that their legal challenge to the subpoenas was now at an end even while Boston College’s challenge continues, urged US Secretary of State John Kerry to intercede with UK officials to help assure that the Northern Ireland investigation does not interfere with the peace process under the so-called “Good Friday Accords” that the US government helped to broker. The attorneys noted that New Jersey Senator Robert Menendez, who is chair of the US Senate Foreign Relations Committee, had asked Secretary Kerry earlier this month to take action to avoid a situation in which the Northern Ireland investigation could “have the effect of re-opening fresh wounds and threatening the success” of the peace agreement. Senator Menendez sent a copy of his letter to US Attorney General Eric Holder, whose Justice Department lawyers have been seeking US court enforcement of the IRA subpoenas. WASHINGTON (AP) — The Supreme Court on Monday turned away an appeal that sought to keep interviews with former Irish Republican Army members from being turned over to police in Northern Ireland. The order leaves in place a lower court ruling that ordered Boston College to give the Justice Department portions of recorded interviews with convicted IRA car bomber Dolours Price. Federal officials want to forward the recordings to police investigating the IRA’s 1972 killing of Belfast widow, Jean McConville. Price, 61, who died in January, and other former IRA members were interviewed between 2001 and 2006 as part of The Belfast Project — a Boston College oral history meant as a resource for journalists, scholars and historians studying the long conflict in Northern Ireland. Price’s death was not considered suspicious. The interviews were supposed to be kept secret until the deaths of the subjects. The researchers who ran the project and conducted the interviews have argued that the participants’ lives could be endangered if their identities are revealed publicly because they could be branded as informants. In October, Justice Stephen Breyer temporarily blocked the interviews from being turned over. Project director Ed Moloney and ex-IRA gunman Anthony McIntyre, who conducted the interviews, last year challenged the decision by U.S. authorities to subpoena the records. A U.S. appeals court in Boston found that Moloney and McIntyre had no right to interfere with the police request under the terms of a treaty between the United States and United Kingdom that requires the two to aid each other’s criminal investigations. The court also said criminal investigations take precedence over academic study. McConville’s killing has received widespread media attention in Ireland because of allegations that Sinn Fein leader Gerry Adams commanded the IRA unit responsible for ordering her execution and secret burial. Adams has denied that. Moloney has said he believes the recordings could endanger the peace. Boston College has argued that because Price is dead, she can no longer be the subject of any prosecution by police in Northern Ireland. A message was left Monday with a Boston College spokesman. Interviews with former paramilitaries which could hold information about the Disappeared will be made available to police. On Monday, a US Supreme Court judge upheld the ruling that the recordings, carried out under the supervision of Boston College researchers Ed Moloney and Anthony McIntyre, should be handed over to the authorities. The discussions, which began in 2001, with republican and loyalist paramilitaries formed part of an oral history of the Troubles. Ex-IRA member Dolours Price was one of the interviewees, and it is claimed the former prisoner discussed the disappearance of Jean McConville. The mother of ten was abducted and murdered by the IRA in the 1972. Her body was recovered more than 30 years later. The interviews were conducted under the assurance that the tapes would not be made public while the subjects were still alive. Price was found dead at her home in Dublin in January this year. 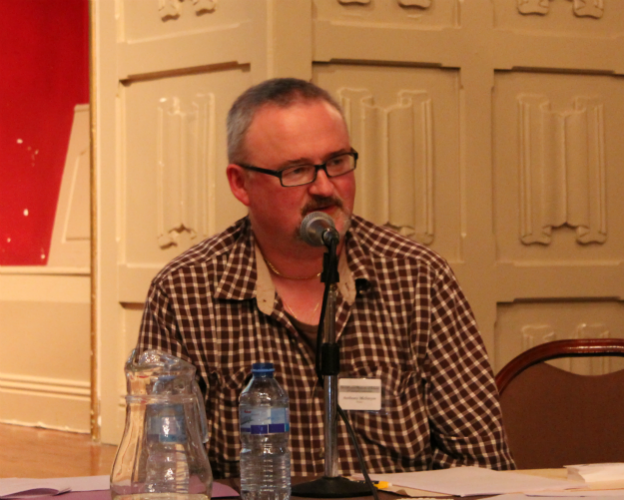 Former IRA member Brendan Hughes, who also took part in the project, died in 2008. Authorities investigating Mrs McConville’s disappearance had called for the US government to subpoena the documents, invoking a treaty between the UK and USA. 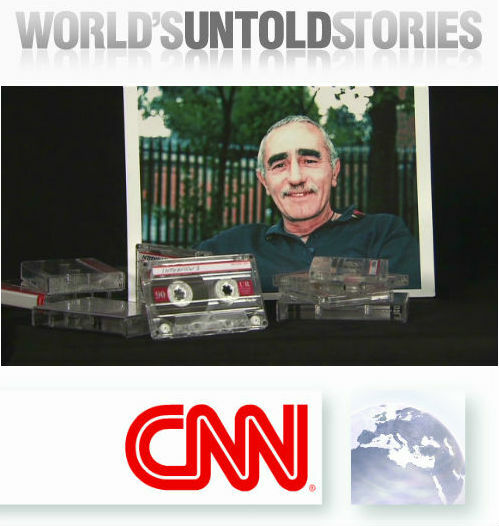 But Moloney and McIntyre – himself a former IRA volunteer-turned-writer – had argued that the tapes should be withheld under the First Amendment. On Monday, an American court refused to hear an appeal lodged by Moloney and McIntyre. A further court ruling on the release of material involving different interviewees is due. Controversial interviews with the late Dolours Price, who was jailed for her part in the IRA bombing of the Old Bailey in March 1973, could be released to British authorities following a ruling by the US Supreme Court. The interviews are contained in an oral history project at Boston College in the US. British authorities sought to have the tapes and transcripts handed over. It is widely thought their request forms part of the investigation into the disappearance and murder of Belfast mother Jean McConville during the Troubles. Today the US Supreme Court declined to hear an appeal from two of the men behind the Belfast Project at Boston College – Ed Moloney and Anthony McIntyre. They had sought to intervene to block the release of interviews with the late Ms Price to police in Northern Ireland. The US Circuit Court of Appeals in Boston had ruled that two of the interviews, with Brendan Hughes and Ms Price, could be handed over. The Supreme Court had temporarily stayed that ruling while Mr Moloney and Mr McIntyre filed their appeal. But now that their appeal has been refused, it is likely the request can be enforced and the transcripts handed over. Transcripts of interviews carried out with an IRA woman can now be handed over to the police in Northern Ireland. The PSNI had been attempting to obtain the transcripts of tapes recorded with Dolours Price, who died in January. On Monday, the US Supreme Court declined to hear an appeal against handing over the transcripts. They were made as part of Boston College’s ‘Belfast Project’, which was designed to be an oral history of Northern Ireland’s Troubles. The project was supposed to provide a reference for students and academics studying the conflict. It was done on the proviso that no interview would be released until after the contributor had died. Interviews with one loyalist, and one republican contributor formed the backbone of a book and television documentary following their deaths. David Ervine and Brendan Hughes spoke candidly about their time in the UVF and IRA, and Hughes made a number of allegations about the role of Sinn Fein president Gerry Adams. Hughes claimed that Adams had been in charge of the IRA unit responsible for the kidnap, torture and murder of a group of people that became known as ‘the Disappeared’. Mr Adams has always strenuously denied the claims. 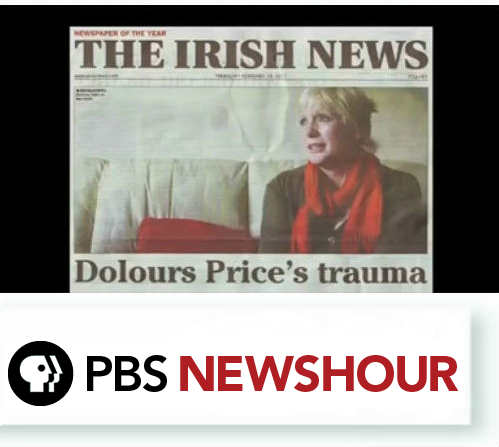 Following a newspaper report on Dolours Price, in which she allegedly claimed to have been involved in the disappearances, the PSNI began proceedings in the US courts to obtain her interviews, and any others relating to the disappeared. The project director, Ed Moloney, and his researcher, Anthony McIntyre, resisted the attempts, and had hoped that the Supreme Court would overturn a Boston Federal Court decision to hand the tapes over. Mr Moloney has said that Ms Price, who was part of the cell that bombed the Old bailey in 1973, did not make claims about the Disappeared in the interviews in any case. Despite the Supreme Court’s decision, tapes recorded with other paramilitaries deemed to contain information about the disappeared will not be handed over yet. They are subject to another appeal by Boston College, which is yet to be heard. (Reuters) – The Supreme Court on Monday declined to hear an appeal over whether confidential interviews with former Irish Republican militants should be released to police in Northern Ireland. The legal fight is about whether British authorities, as part of a murder investigation, can access interview transcripts with Irish Republican Army members, which were carried out as part of a Boston College program. The issue could return to the court, as the legal fight about whether British authorities can access other interview material is set to continue, with a court ruling pending. As part of a long-unsolved murder, the police in Northern Ireland want access to interviews carried out with members of the IRA and pro-British Unionists. Investigators in Northern Ireland are seeking to find out who was responsible for the 1972 murder of Jean McConville, who was suspected of informing the British about IRA activities. Invoking a treaty between the United Kingdom and the United States, the British government asked the U.S. government to subpoena the interviews. The director of the interview project, Ed Moloney, and one of his researchers – and a former IRA member – Anthony McIntyre sought to intervene, raising objections based on First Amendment rights enshrined in the U.S. Constitution. They noted that the interviews were conducted on the condition that they would not be made public until either the interviewee agreed or died. They claimed the interviewees could be endangered if the materials were released. The Supreme Court was asked to intervene after the 1st U.S. Circuit Court of Appeals in Boston ruled against Moloney and McIntyre concerning two of the interviewees, Brendan Hughes and Delours Price, meaning that the subpoenas could be enforced. The Supreme Court temporarily stayed that ruling while Moloney and McIntyre filed their appeal. That specific issue is now largely moot as both Hughes and Price have died. The 1st Circuit court is due to issue a ruling soon on whether other material involving different interviewees can be released. The case is Moloney v. United States, U.S. Supreme Court, No. 12-627. 12-627 MOLONEY, ED, ET AL. V. UNITED STATES, ET AL. The motion of petitioners to defer consideration of the petition for a writ of certiorari is denied. The petition for a writ of certiorari is denied. Issue: (1) Whether persons with Article III standing to object to criminal subpoenas of confidential information have a First Amendment or Due Process right to be heard and to present evidence in support of their objections; and (2) whether the lower court applied the correct legal standard to subpoenas issued by foreign governments pursuant to Mutual Legal Assistance Treaties and 18 U.S.C. § 3512. The “Petition of the day” posts feature petitions that are likely to appear on our “Petitions to watch” list when they are scheduled for consideration by the Justices. “Petitions of the day” are those that Tom has identified as raising one or more questions that have a reasonable chance of being granted in an appropriate case. We generally do not attempt to evaluate whether the case presents an appropriate vehicle to decide the question, which is a critical consideration in determining whether certiorari will be granted. Sep 28 2012 Application (12A310) for a stay pending the filing and disposition of a petition for a writ of certiorari, submitted to Justice Breyer. Oct 1 2012 UPON CONSIDERATION of the application of counsel for the applicants, IT IS ORDERED that the mandate of the United States Court of Appeals for the First Circuit, case Nos. 11-2511 and 12-1159, is hereby stayed pending receipt of a response, due on or before Thursday, October 11, 2012, by 4 p.m., and further order of Justice Breyer or of the Court. Oct 11 2012 Response to application from respondent United States, et al. filed. Oct 15 2012 Reply of applicant Ed Moloney and Anthony McIntyre filed. Oct 17 2012 Application (12A310) granted by Justice Breyer. UPON FURTHER CONSIDERATION of the application of counsel for the applicants, the response filed thereto, and the reply, IT IS ORDERED that the mandate of the United States Court of Appeals for the First Circuit, case Nos. 11-2511 and 12-1159, is hereby stayed until November 16, 2012. If the applicants file a petition for a writ of certiorari on or before that date, then the mandate of the First Circuit is further stayed until the petition is resolved by this Court. Should the petition be denied, this stay shall terminate automatically. In the event the petition for a writ of certiorari is granted, the stay shall terminate upon the sending down of the judgment of this Court. If the applicants do not file a petition for certiorari on or before November 16, then the stay shall expire at 5 p.m. that day. Nov 29 2012 Waiver of right of respondents United States, et al. to respond filed. Dec 19 2012 Brief amici curiae of The Ancient Order of Hibernians, et al. Dec 19 2012 Brief amicus curiae of Article 19: Global Campaign for Free Expression filed. Dec 19 2012 Brief amicus curiae of Reporters Committee for Freedom of the Press filed. Dec 19 2012 Brief amici curiae of Social Science Scholars filed. Dec 21 2012 Order extending time to file response to petition to and including January 31, 2013. 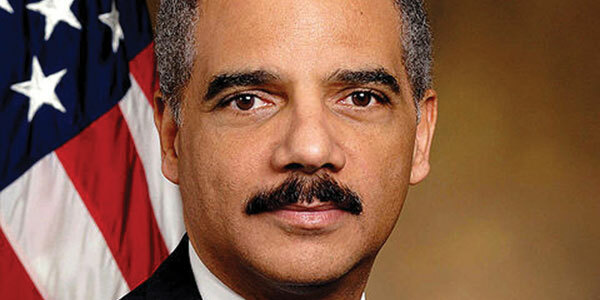 Jan 28 2013 Order further extending time to file response to petition to and including March 4, 2013. Mar 4 2013 Brief of respondents United States, et al. in opposition filed. Mar 15 2013 Motion to defer consideration of the petition for a writ of certiorari filed by petitioners. A case of two academic researchers who sought to explore the role of “foot soldiers” in the Troubles in Northern Ireland has escalated in the US Supreme Court into a major test case on the confidentiality of information gathered by journalists and academics, around the globe. It also poses a significant test of how a US court should react to a plea for cooperation by police authorities in the UK. Under a bilateral criminal cooperation treaty between the UK and the US, Northern Ireland police since early 2011 have been seeking access to the oral histories gathered from former IRA and Unionist members. They gave their accounts to Moloney and McIntyre under promises – to protect their safety — that the tapes would remain confidential and stored at Boston University in Massachusetts. Moloney and McIntyre were not allowed to take full part as US federal courts approved the police subpoenas and rejected challenges by Boston University. A part of that litigation continues in lower federal courts, even as Moloney and McIntyre are pursuing their legal claims in the Supreme Court. The Justices are scheduled to consider the appeal this month, unless they postpone it, as Moloney and McIntyre have suggested, until the remaining litigation is decided in lower courts. The Justices have the option, though, of going ahead with action on the appeal and that action, of course, could be a refusal to hear the two researchers’ claims. The appeal, though, appeared to have enough potential to it that Justice Stephen G. Breyer in October temporarily stopped enforcement of the police subpoenas, while the appeal proceeds. With the case in that posture, lawyers for others interested in the case began filing friend-of-Court (amicus) briefs with the Supreme Court, giving the case a wider sweep. One of the constitutional keys to this case is whether the Justices will be willing to clarify and perhaps strengthen the protection of the First Amendment’s free press clause, and reconsider a 1972 decision in the case of Branzburg v. Hayes. That decision rejected a claim of confidentiality for news sources in the face of a criminal case subpoena. Pressing for further protection is a group that represents the legal interests of working U.S. journalists, the Reporters Committee for Freedom of the Press. The Committee’s brief told the Court that there has developed “a divergent body of lower court precedent” interpreting that 1972 decision, so the Supreme Court should step in now to resolve the controversy. The lower courts in the Moloney/McIntyre case gave “short shrift” to journalists’ interests, that brief contended. 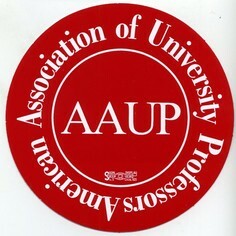 A group of fourteen US scholars who specialize in social research suggested in their brief that “the case goes well beyond the specific goals of the Belfast Project….The threat of unlimited subpoena power undermines the ability of any researcher to promise confidentiality and thus to obtain honest and reliable answers to the most pressing issues of our time.” In addition, this scholars’ brief told the Court that the case presents an opportunity for the Justices to enlarge the concept of academic freedom, noting that the Court has commented that the concept has First Amendment protection, but has never defined it clearly. The Supreme Court Justices take seriously, and often consult closely, the amicus briefs filed before them, and these filings thus could enhance the prospect of review of the Moloney/McIntyre appeal.